The Brazilian bikini is a very important piece of clothing. In order for you to fit in on the beach you’d better throw away that old rag you have and find yourself a new one. One of the secrets behind those well trimmed bodies on the beach is a bikini that keeps it all in the right place. It’s the combination of quality and design that does the trick. There is also beach fashion for guys, further down on this page I will dig into that. There is a notion that the Brazilian bikini is extremely small, but the days of the fio dental (English: dental floss bikini) are long gone. Of course you can see the odd girl dressed in practically nothing but she is hopelessly behind or from out of town. It’s nothing a real Carioca girl would wear. Today’s trend has gone retro, back to the more flowery patterns of the sixties, the sizes and shapes are a bit larger. Mind me that Brazilian bikinis for many Western girls feels ridiculously small anyways. When you go shopping for bikinis in Rio it’s just like with all other pieces of clothing. The price quality and design is reflected in the price; A good lycra (the material) is essential for supporting and looking good. The size is also important, luckily you can combine so you can get a G (Large) top and a M (Medium) bottom; all to fit your particular body. Although the global trend is going from sports shorts back to proper swimming trunks, many gringos don’t like the thought of wearing them. The solution is obvious; (because football shorts is not an option guys!) go for surf wear. It’s a safe bet to buy yourself a pair of surf shorts that at least reaches the kneecaps, with those you’ll fit in. I will say a few good words about sungas (or speedos) though; I am a user and I like it! Today they are not as small as they used to be and they are comfartable and practical on the beach. My wife forced me to start wearing them and I’m not going back. 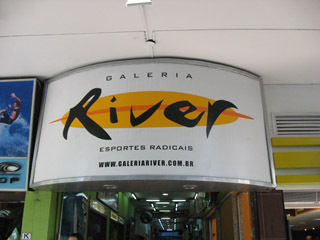 Galeria River is a good place to buy surfwear. Garota da Ipanema, R. Vinícius de Moraes 53, Ipanema map, tel 2521-3168. Salinas, R. Visconde de Pirajá 547, Ipanema map, tel 2274-0644. Kitanga, R. Visconde de Pirajá 303, store A, Ipanema map, tel 2523-8447. 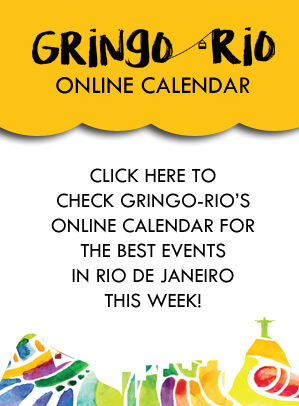 Also has a store in Copacabana on R. Santa Clara 70, store 204 map, tel 2549-9020. Blue Man, R. Visconde de Pirajá 351, Ipanema map, tel 2247-4905/2522-8673. 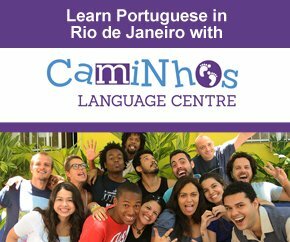 Located in Fórum de Ipanema. Totem Praia, R. Visconde de Pirajá 547, Ipanema map, tel 2540-0661/2511-0694. Credit: To write this I got excellent help from my wife and the super Carioca Silvia. Thank You!